Sculpture Size: 23.5 X 12 X 2 in. 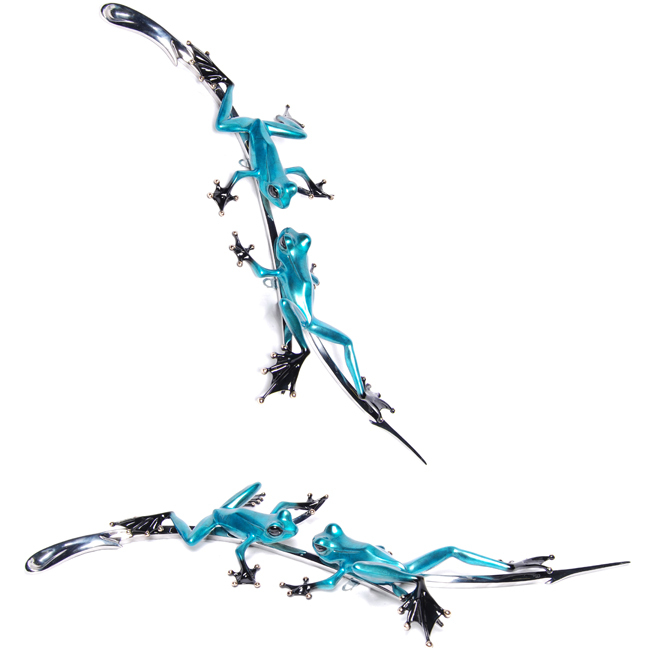 A sweeping s-curve of stainless steel anchors two beautiful pale silver nitrate blue frogs in this stunning mixed-metal sculpture from the Frogman. "Gemini" features unique mounting flexibility to adapt to your display needs. Built-in hangers are designed for your choice of horizontal or vertical wall display. Limited wall space? "Gemini" also works for tabletop display.